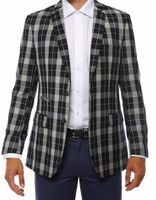 Slim fit blazers are party wear blazers and what you need to be seen in club and the red carpet wearing when style counts perhaps while chilling in Stacy Adams Shoes. You see all the famous young male Celebrities wearing these stylish slim fitting suit jackets every time they are on TV and You can Too. 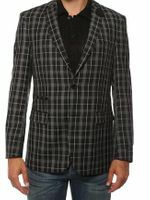 Slim fit blazers have the skinny fit and party wear style that you simply must be seen wearing when your stylish image has to be at it's very best. 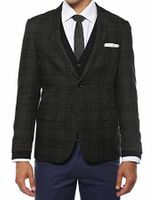 From stylish tuxedo designs to evening jacket styles, there is slim fit blazer for everyone. If it's a suit you're seeking, our Slim Fit Suits are just what the Doctor ordered.